Handi-Foam™ Quick Cure Foam is a Polyurethane Low Pressure Spray Foam Insulation kit designed to fill and insulate large surfaces and voids. It helps improve indoor air quality, lowers heating and cooling costs, and drastically reduces energy consumption. By expanding while being applied, a permanent seal is created which keeps out air drafts, providing you more comfort in your home. Handi-Foam™ provides excellent insulation by creating a continuous air barrier helping you seal your building"s envelope. 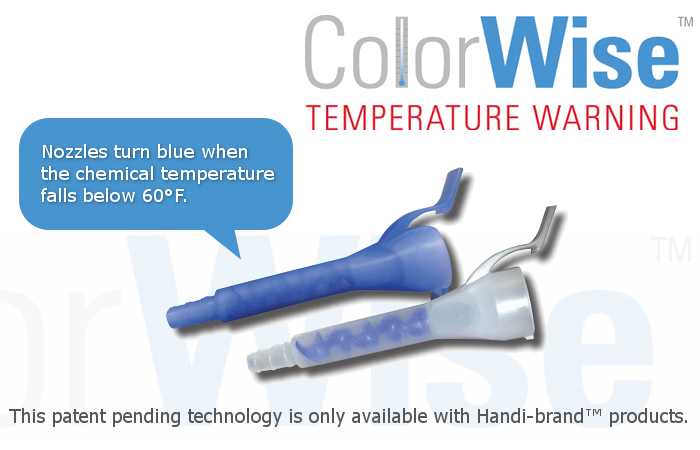 It is dispensed using the patented Handi-Gun™ dispensing unit for accurate and precise applications. Handi-Foam Quick Cure assist in attaining ENERGY STAR™ rating and/or LEED credits. 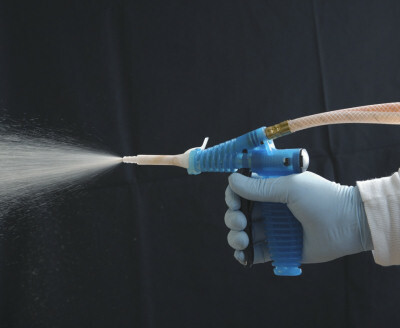 With excellent adhesion properties, Handi-Foam™ Quick Cure foam will not let you down. Handi-Foam™ kits are designed utilizing a non-flammable blowing agent to assist in the safety of the end user. Fomo Products Inc. is committed to product stewardship and works hard to create products that contribute to healthier indoor environments. Please see GREENGUARD® Certification for more information. 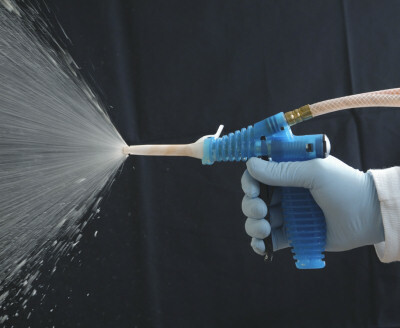 Application: Use a slow, steady, and smooth motion to spray a continuous layer when applying the foam. Spray what appears to be just under a 1/4" thickness and it will expand and cure to roughly 1 inch. Apply additional layers until desired thickness is achieved, allowing at least 10 minutes between layers. While each kit comes with everything you need to spray foam, you may be interested in some of these optional accessories. 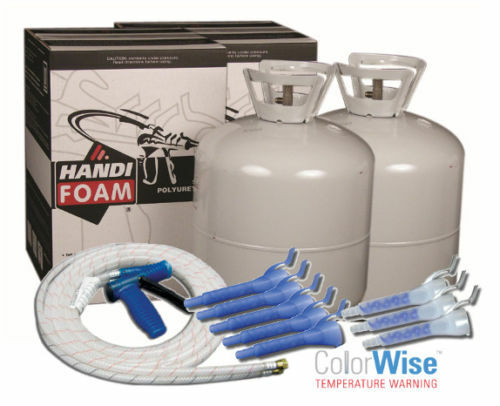 Handi-Foam™ Quick Cure is a Low Pressure Polyurethane Spray Foam kit designed to fill and insulate large surfaces and voids. It is dispensed using the patented Handi-Gun™ dispensing unit for accurate and precise applications. *Board foot is a square foot with 1 inch thickness (12"x12"x1"). Product yield dependent upon proper application.